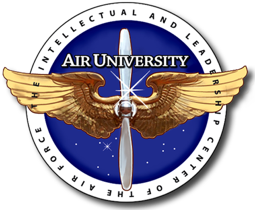 Technology, Automation and Management, Inc. (TeAM) maintains an ongoing relationship with the Air Force with our newly awarded Air University Educational Professional and Support Services (EPASS), Administrative Services Blanket Purchase Agreement (BPA). This BPA encompasses a wide variety of administration and support services for education not easily classified under the other EPASS domains. This includes, but is not limited to, translation services, writing assistance, grant writing, program support and management, accreditation and registrar support, advertising, logistics, assessments, evaluations, and various consulting services. TeAM is a provider of training program management services, instructional services and technical support services for government and educational institutions. TeAM applies methodologies and processes based on Project Management Body of Knowledge (PMBoK), Information Technology Infrastructure Library (ITIL), Capability Maturity Model Integration (CMMI), and Lean Six Sigma best practices. Our training staff apply Educational Community accepted methodologies, such as Instructional Systems Design (ISD) and Systems Approach to Training (SAT) as well as the ADDIE model in Defense training programs. We utilize automated support tools, such as Interactive Courseware Implementation System (ICIS), Go2Training, Blackboard and QuestionMark.